When you connect with several programming languages, you find some of them are easy and some of them are complex. With easy fundamentals and amazing interface ability, one of the most prominent languages emerges out with great features, i.e. "HTML". It is said to be an interesting computer language but due to the involvement of complex coding, mostly students fail to grab this concept. Due to this, students are unable to score good grades and it downgrades their overall academic performance. It's time to erase all your worries, as EssayCorp is here to assist you with all your doubts in your assignments. Our aim is to help students so that they can overcome their doubts and achieve a better understanding of the concerned subject with ease. HTML stands for Hypertext markup language, which is used to create web pages for websites. This language is based on an existing, international formatting SGML (Standard Generalized Markup Language), which is used for text processing. In simple terms, HTML is a simplified version of SGML. The main purpose of HTML is just to display the text on a World Wide Web, implement the written text and images for the users through a web browser. The elements of the HTML describe the structure of different web pages and web applications originally that includes signs for the appearance of a document. Its elements act as the building blocks of HTML pages that are represented by tags with angle brackets (< >) and each HTML tag has its own property. It helps to create structured documents by representing structural semantics for text, such as paragraphs, headings, lists, links, quotes and much more. HTML defines numerous types of data for element content, such as script data and stylesheet data that include names, ID’s, units of length, and languages etc. HTML documents can be delivered by any computer file. However, these documents are mostly carried out by HTTP web server or also by an email. Apart from this, there are lot more features covered by our HTML assignment help experts. Heading Tags - This element is used to display the content in heading. There are different sizes of heading tags like H1, H2, H3 and so on. Paragraph Tag - To structure the text into different paragraphs. It is mainly used to define a paragraph by <p>. Line Break Tag - Using this tag, a user can start from the next line. In this, opening and closing tags are not required. Centering Content Tag - It used to place content in the center and the <center> is mainly used to center-align text. Horizontal Line Tag - This tag creates a horizontal line from the current position in the document. Bold Tag - This tag is used to bold the particular text and its Syntax is <b>. Comment Tag - It is used to mention comment in the source code. Link tag - It is used to specify a relationship between a document and external resource. It is denoted by <link> to link with other style sheets. New elements and attributes are effective in usage on various modern websites through a standardized interface. HTML is specified with new API, which includes document editing, and offline storage database. New form control attributes like number, date, time, and range that makes it easy for the user to execute tasks. New semantic elements like header, footer, article and section have also been added to this latest feature of HTML. Other elements such as application cache, client-side storage, and content editable have also been included. For a deeper understanding of these elements, avail our html assignment help. HTML is commonly used as the format of web pages. Besides it, there are several reasons for using the latest version of this prominent computer language. Now you can access websites much easier than ever. Many new HTML headings such as <header>, <footer>, and <section> allows readers to access content easily. With the help of new HTML 5 tags <video> and <audio>, you can add your favorite videos and audios to the content to make it user friendly. Get rid of excessive head tags and long unreadable line of code filled with doctype attributes. This new version also works well in every browser. 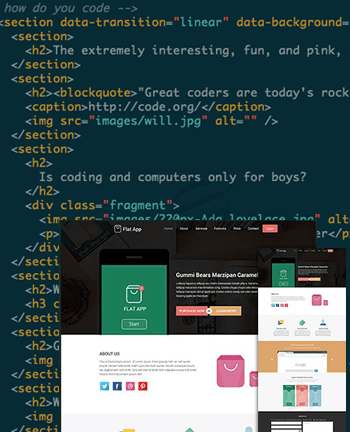 Now you can get simple, graceful and easy to read code with the help of HTML 5 browser. It allows you to write clear and semantic code that helps in separating meaning from both style and content. This latest version of HTML has become a new local storage for the users as it has better performance and security that helps you even after the browser is closed. The new drawing HTML 5 tag that allows you to create animation within a web page than other previous version of HTML and it is denoted by <canvas>. Now you can develop games by using this latest feature of HTML 5. It is a great way to make interactive games and thus helps in creating fun or learning environment all around. It is denoted by <canvas> tag. Browsers such as Google Chrome, Firefox, and Opera etc. support HTML 5 that increases user interface and experience, hence allowing them to use the browsers as often. Mobile technology has been increasing rapidly these days and HTML 5 is one of the most prominent tools that help in developing various mobile sites and applications. For more information, avail our HTML assignment help services. To relieve you from the code webs of HTML, We extend HTML assignment help services by our experts at a decent price. Though this language is not so difficult, but whosoever finds it difficult may acquire professional help, no matter you have theoretical questions to do or website creation project, here you find everything sorted. Along with having extensive knowledge of HTML, our experts are experienced too and they are ready to fulfill all the requisites of all academic levels in colleges and universities. The best part is that they are always updated with current development trends. With our HTML assignment help, you can be assured of being able to solve any coding and helps you to score excellent grades in examinations. Our team delivers optimum codes that are written as per the assignment requirements you provide to us. These codes are actually written and not copy pasted from internet or any online HTML tutorials, as we give proper output screenshots to ensure that the code is working correct without any bugs. All HTML assignments are delivered before the deadline so that you yourself can check all the output well before submitting it to your tutor. Our experts are always available for revisions and queries that arise in between the process to ensure quality submission at University. Avail our HTML project help and stay satisfied as you can achieve the best grades this semester.